Sheffield Hallam Curators Forum invites you to their thirdexhibition exploring the theme of defamiliarization. 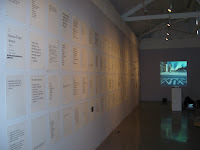 SHCF, all of whom are students on the MA Contemporary Fine Art at Sheffield Hallam University, have used Viktor Shklovsky’s text Art as Technique* and his concept of defamiliarization to facilitate a debate of its continued relevance to artists, curators and theorists in the 21st Century. This research has involved exploring curatorial strategies at Site Gallery, Sheffield as part of the Freedonia Salonseries and collaborating with Chelsea School of Art (UAL) and Essex University MA students at The Gallery, Wimbledon (UAL). The exhibition at the End Gallery marks the third stage in this project and will involve new work fromDavid Thomas Crawley, Diana Ali, Xin-Shu-Li and Cameron Craig in the main space and documentation and research material from the project on the mezzanine. David’s project Photo Booth focuses on the rejected passport picture. Has the subject sat the right or wrong way? Have they completed the application form correctly? 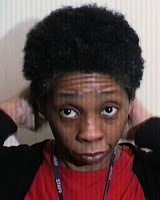 If identity is unique, how much of the essence of an individual do the stringent regulations of the passport office allow us to capture? The images captured sum this up in a poetic way akin to the text ‘Art is thinking in images’. Diana’s work substitutes one form for another through artist’s responses locally and globally playing with re-introduction and re-representation. 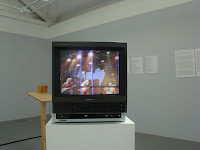 The video work presents the curator’s own perception about alienation as one part of defamiliarization, which was extracted from her life studying abroad in Sheffield. Alienation, 3 video screens, different countries, different cultures, Chinese artist. In this new collaborative work Craig and Gumpoltsberger playfully invite the Viewer / Reader / Audience of the artwork to engage with the philosophical notion of “defamiliarization”. Virtual rooms in my everyday life are nothing new, but it’s a new experience to use a “chatroom” as a media for artwork. offer many possibilities to play with identity and configurations of truth and exaggeration. Technological advances offer new ways in which we humans can communicate. At times this can provide tremendous possibilities. At others it reduces face to face contact. This installation in a public place explores this paradox. *Lemon, LT et al. (1965) ‘Russian Formalist Criticism Four Essays’ University Press of Nebraska (1917) ‘Art as Technique’ is arguably one century later still a key text in a debate of the role of contemporary art. Further information will follow. If you are interested please email us or keep an eye on this space. 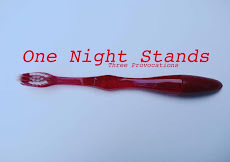 'One Night Stands #1' although a short exhibition it did exactly what it set out to achieve. SHCF feel that their hosts, namely all Chelsea students and especially Tilly the Gallery Manager at Wimbledon's College of Art helped no ends to set the exhibition up! All MA students pulled together and helped in whatever way they could. David felt that the exhibition although quite stressful at times, really had a feeling of excitement through producing and in the placing of the works created by David, Diana, Xin-Shu, Cameron and other invited artists. SHCF are working hard on their concluding exhibition to be held at the End Gallery, Sheffield Hallam University, Psalter Lane on Tuesday 6th May - Saturday 10th May 2008. All in the group feel absolutely shattered but intend this to be a show to be proud of! This is the first year that SHU have offered the curating option as part of MA Contemporary Fine Art under the watchful eye and support from their tutor Jaspar Joseph-Lester. A real inspiration! A provocation, time specificity, a key word - infinite. Just words, a mixture of vowels and consonants types on a page, could be any page in any order, yet when re-read the power within these words is their very essence, the poetics of what they are, simple yet complex. They invite the reader to invest imagination! Their beauty is what they offer, a world beyond the typeface. It is this poetry that the Russian Formalists wished to free from the page, ridding the text of the shackles of author and manipulation by authority or those who sort to control. Viktor Shklovsky et al. and their notion of 'defamiliarization' is explored in 'Art as Technique'. A seminal essay on the poetics and mechanics of the written word in 1917. It is this essay that the MA Contemporary Fine Art students from Sheffield Hallam University have chosen to explore and to facilitate debate and discussion on its continued relevance to artists', curators and theorists in the 21st century. With an overarching theme of 'defamiliarization' running through their research the artists' and curators from Sheffield Hallam University have used imagination to respond to the provocation set by their hosts. 'One Night Stands' is a series of three events hosted by the MA Critical Writing & Curatorial Practice students of UAL Chelsea College of Art and Design in collaboration with curating students of Essex and Sheffield Hallam Universities. The SHCF artists/curators will exhibit their new work with their invited artists' in response to 'infinite' and 'time specificity'. This event will be part of an ongoing collaboration with MA curating students from UAL Chelsea and Essex Universities. 'One Night Stands' Wimbledon College of Art, London. The Gallery, Wimbledon College of Art, London. Three teams of curators, three provocations, one space. David Thomas Crawley, Diana Ali, Xin-Shu Li and Cameron Craig. Diana Ali and her selected international artists. Cameron Craig and his selected artist Felix Gumpoltsberger. Xin-Shu Li and her selected artists Xiao Bai from Beijing, Harry Xie from Hong Kong and Mei Mei from Australia. SCHF are now working on their next exhibition with students from Chelsea - MA Critical Writing and Curatorial Practice and Essex - MA in Gallery Studies & Critical Curating titled 'One Night Stands'. They are continuing with their theme of 'defamiliarization' after giving a brief talk and introduction to all students on their first salon held at Site Gallery, Sheffield. This is the first time that all students from the three institutions had met, all coming from a variety of backgrounds and disciplines. A discussion was held and agreed that a series of three events will be hosted by Wimbledon College of Art (UAL) with a title 'One Night Stands'. SCHF will be the first to exhibit and curate work by chosen artists at the first event to be held on Monday 14th April 2008 at Wimbledon. We would just like to thank all whom attended our first SHCF event held at Site Gallery, especially to Carol Maund for the superb venue, Victor Simno for the technical help on the night and to Michael Corris for the stage of 'Freedonia', artists that were involved Katy Woods, Becky Shaw, Steve Dutton and Mohd Zahuri Khairani. We intend our next event to held at Chelsea School of Art, London on Monday 14th April 2008.